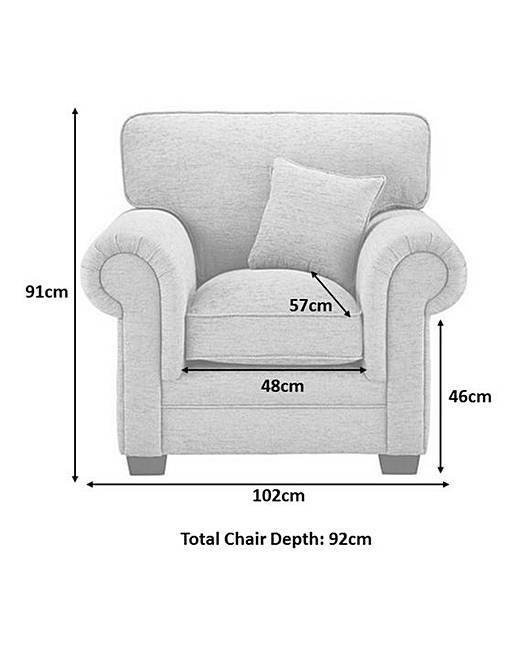 The Avery Chair is part of the Avery Sofa range. A beautiful, classic and comfortable sofa range ideal for any living room. 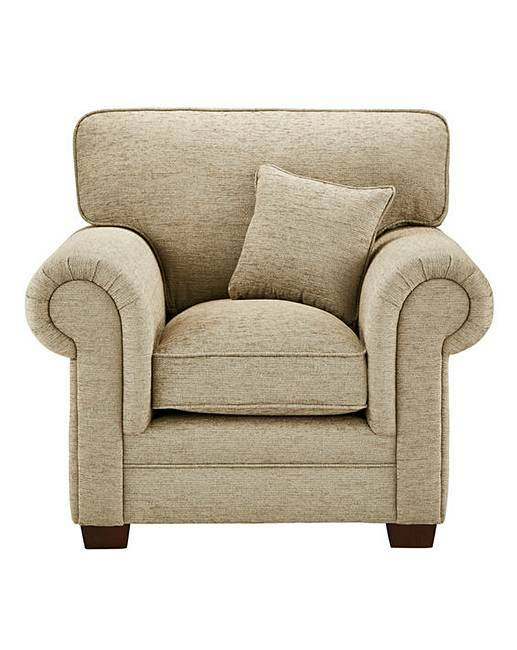 Upholstered in a delicate chenille fabric which has a soft to touch handle and feel, with a subtle textured weave. This model has foam filled seat cushions with fibre top pads combined with soft fibre filled cushion backs. Seat backs and seats can be removed. Complete with matching accent cushions. Finished in dark wood effect feet. Maximum user weight 17st/110kg per person. Ready assembled. H. 91 x W.102 x D.92cm. Seat area: W.48 x D.57cm. Seat heigth from the floor 46cm. We aim to deliver your order within 5 weeks, providing that the items are in stock at our own warehouse, or by the time indicated if being despatched directly from our supplier, larger items requiring 2 man delivery will be booked in for delivery by the carrier after despatch.